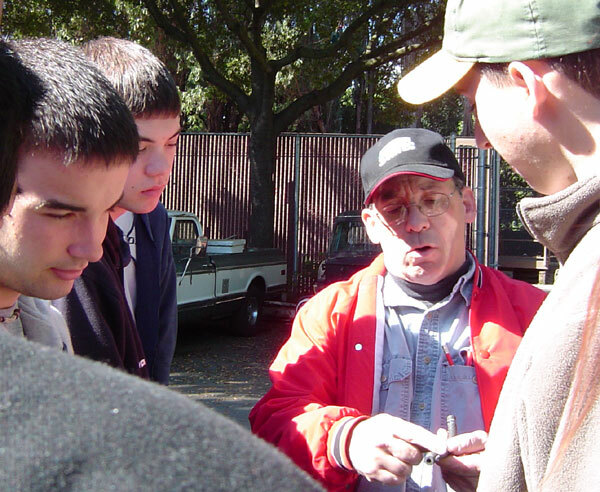 Mr. Camicia comes to Gunn directly from the automotive industry. He has over 25 years experience in all types of auto repair and his reputation as a good mechanic is well known. While attending Sunnyvale High School, Mr. "C" worked part-time in a service station originally located at the corner of Arastradero Road and El Camino (a Phillips 66 station that used to sit where Midas Muffler currently resides). He even remembers working on cars owned by the Gunn staff back then. 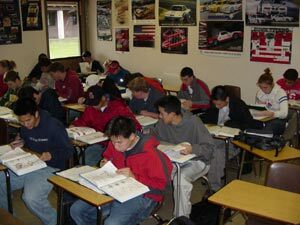 He went on to complete the Automotive Technology program at De Anza College. While there he served as the Auto Tech Club President. He has been turning wrenches ever since. Mr. Camicia worked at a couple of independent shops before being hired away by a local dealership. He became their shop foreman, in charge of a crew of 18 technicians, in less than a year. When not teaching, his interests are still automotive. He and his wife spend their free time at various Motor Sport events, sometimes teaching high performance driving, sometimes competing. He has held a road racing lap record at Sears Point Raceway and has won an SCCA (Sports Car Club of America) National Championship in Autocrossing (his wife has won 3)! He also has project cars (real ones) and his toy cars, which he collects, to keep himself busy. Mr. Camicia's honest approach and his sense of humor make his class at Gunn a fun one to take. Don't forget we have classroom work and tests too! 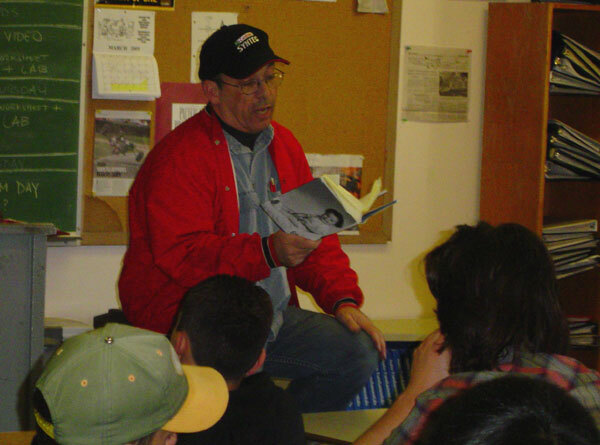 Mr C reads to the class from Jay Leno's autobiography. Jay is a car guy too.